From here you can book your hot air balloon ride in Italy! 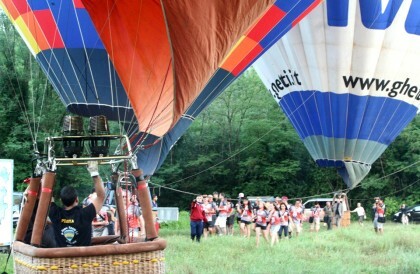 A balloon ride in Tuscany is a romantic way to discover one of the most beautiful places on earth! Privilege, Private balloon flight. with the basket reserved just for you…. 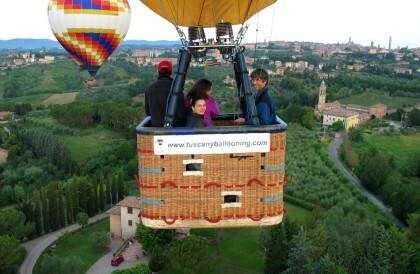 Welcome to the Balloon rides in Tuscany, This website is all about hot air ballooning in Tuscany, Florence, Siena, Italy. From here you can book your hot air balloon ride in Italy all year round. Standard balloonride with Champagne breakfast, or a Private exclusive VIP flight for your Honeymoon or Proposal, with pickup and transfer service. Propose during a romantic balloon ride. Booking a Group flight, for family and friends, We offer attractive group programmes and rates also for business Incentives and Corporate Team building adventures. Buy a Gift Voucher for a balloon tour of Chianti. Buy a Gift Voucher Christmas gift. Balloon flight booking and arrange a pickup transfer with driver, luxury service or taxi from any Hotel in Florence and Siena. Prices, see our Special offers and Last Minute reservations. A perfect birthday present, Gift Voucher. Experience the magic of flying in a hot air balloon, we fly also in winter. The best views of ancient Tuscan towns and villages. Siena hot air balloon rides. Aerial photography, the hot air balloon is the perfect aircraft for stunning views and pictures from the air, flying over the Chianti vineyards, olive groves and Renaissance city’s. Florence, Sienna, Buonconvento, Pienza, Montepulciano, Montalcino, Arezzo, Cortona, Volterra, San Gimignano, Monteriggioni, Montecatini, Lucca. 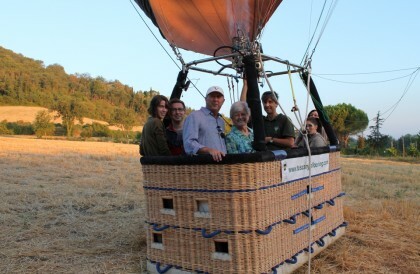 A balloon ride in Tuscany is a unique and romantic way to discover Italy. Toscana balloon flight adventure. Fly with Tuscany Ballooning and Balloon Team Italia. Siena Ballooning.